Over 1,300 soft acrylic "beads." Plus a portable storage bucket. Create bright jewelry, garlands and more! Assorted bright colors in 4 sizes. Fanastically fuzzy jewelry! 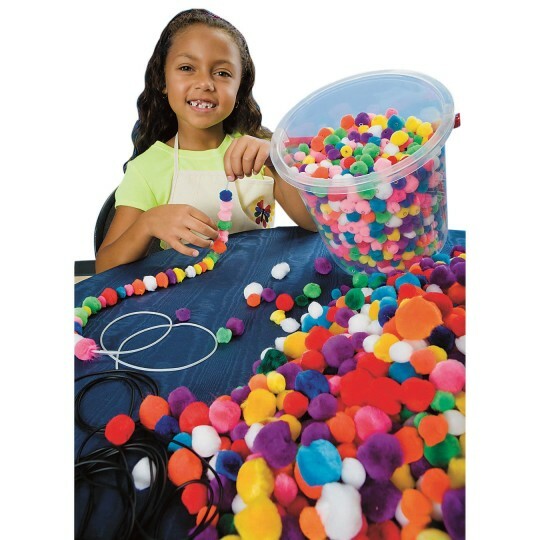 Over 1,300 soft acrylic "beads" in a portable storage bucket let you create bright, fun jewelry, garland decorations and more. Assorted bright colors in 4 sizes range from approx. 1/2" to 3/4" with a clear tube through the center that makes them easy for anyone to string. I teach kindergarten. 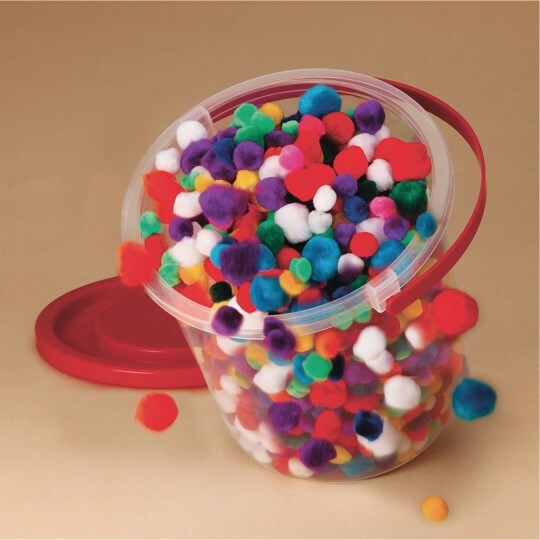 This is a fabulous product for indoor recess art projects and great for fine motor skills! I love being able to string these pom poms without having to use a sharp needle.